A round walk in the Moselle and Saar area, Germany. 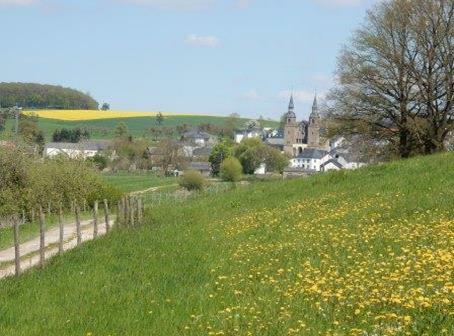 Four sections of a circular walk in the Moselle area. 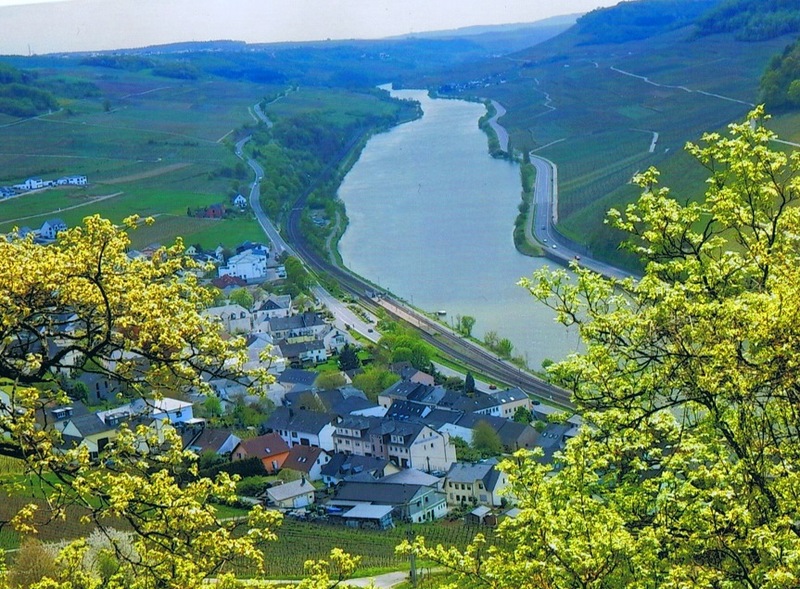 Two sections along the Moselle-river, a crossing trip direction the Saar river through the valley of the Leukbach and through the valley of the Mannebach back to the place where we started. Getting there: the region is easy to get in by many highways. Or, after a flight to Luxembourg, for example, the train from Luxembourg city to Konz, where we started. About 70 min. 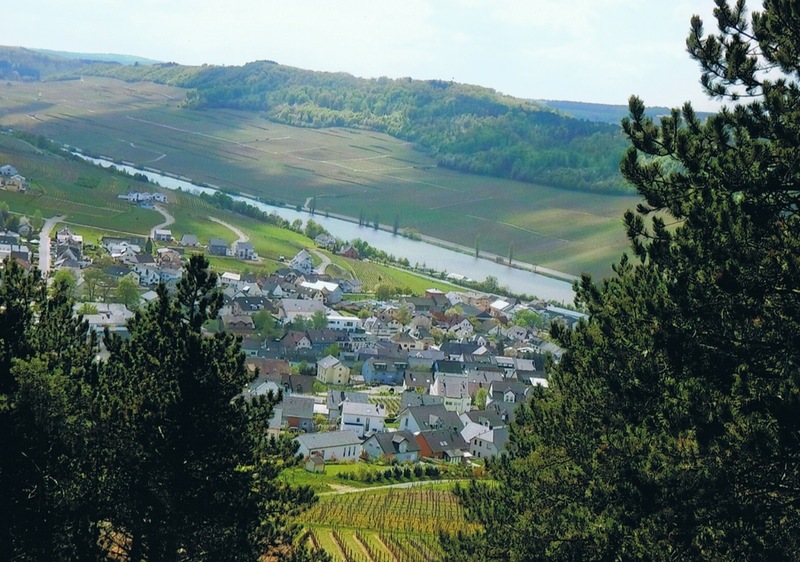 Accommodation: we made use of the services of the Saar-Obermosel-Touristiek. Including the reservation of the hotels and the luggage transport. Map: the trail is very well marked. To be sure you can use the map: Karte 1, Perl-Trier, Moselsteig, scale 1:25.000. Publ. : Landesamt fur Vermessung und Geobasisinformation Rheinland-Pfalz. Indication of height: up to 393 m.
May 2016: a circular walk in the Moselle area. On trail: the Saar springs, like the Moselle, in the Vosges, France and in the lower reaches both rivers flow through a beautiful landscape where walking is fine. 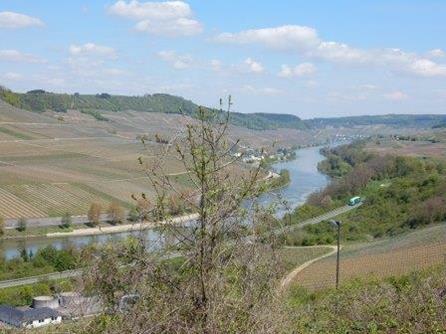 Two beautiful sections along the Moselle-river, on height, special on the second day, stunning views of the Moselle and Luxembourg. The so called Felsen-weg at the end of day 1, national park. 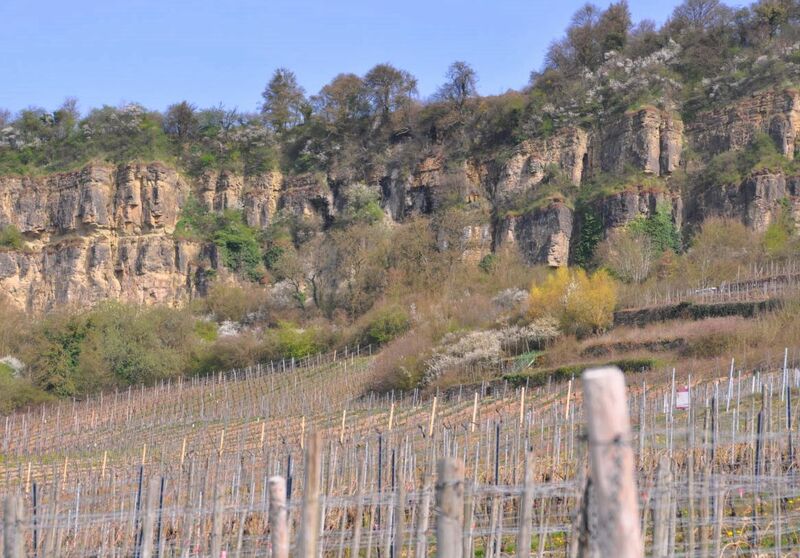 Vineyards, forest, meadows and sometimes steep climbs. 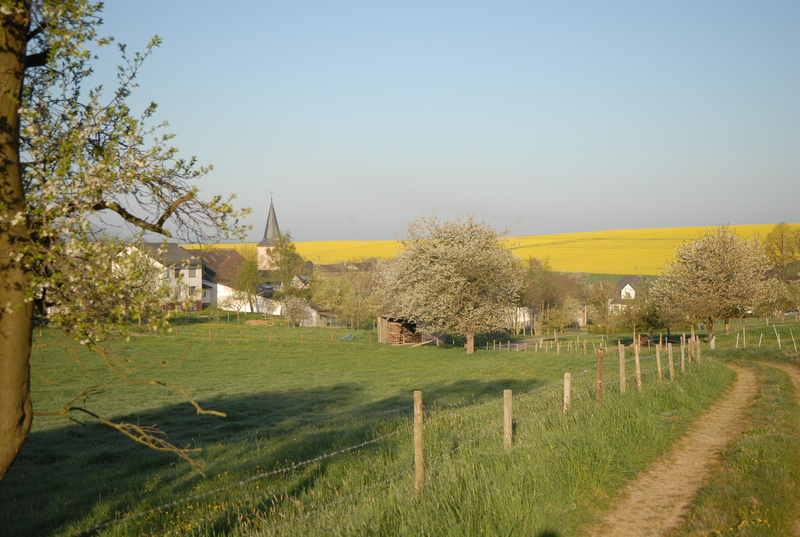 The trail on day 3, to the Saar-river, through hilly farmland, is of extraordinary beauty. 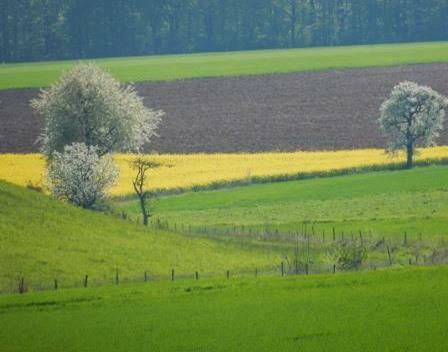 In the first week of May flowering fruit trees and huge fields with flowering rapeseed. The valley of the Leukbach, day 3, can be called idyllic indeed. 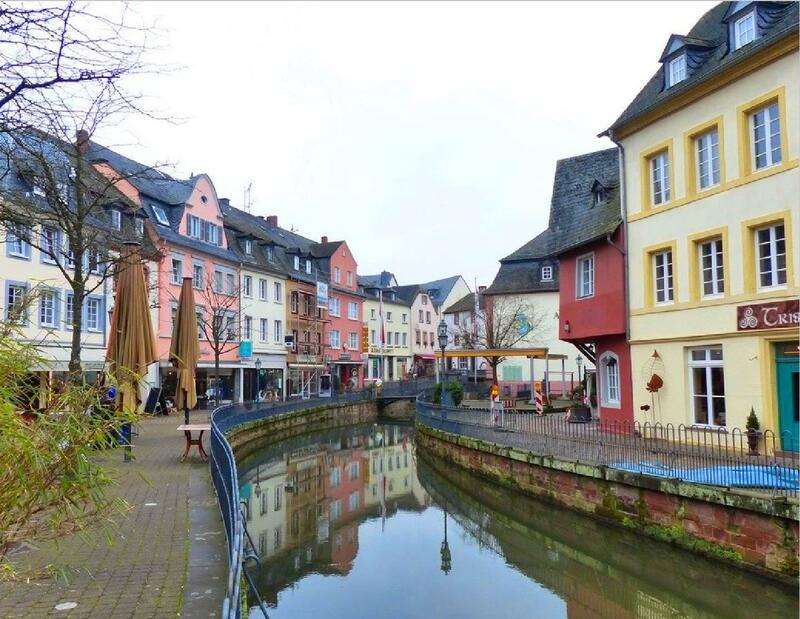 This section ends in Saarburg with its historic town centre and castle. 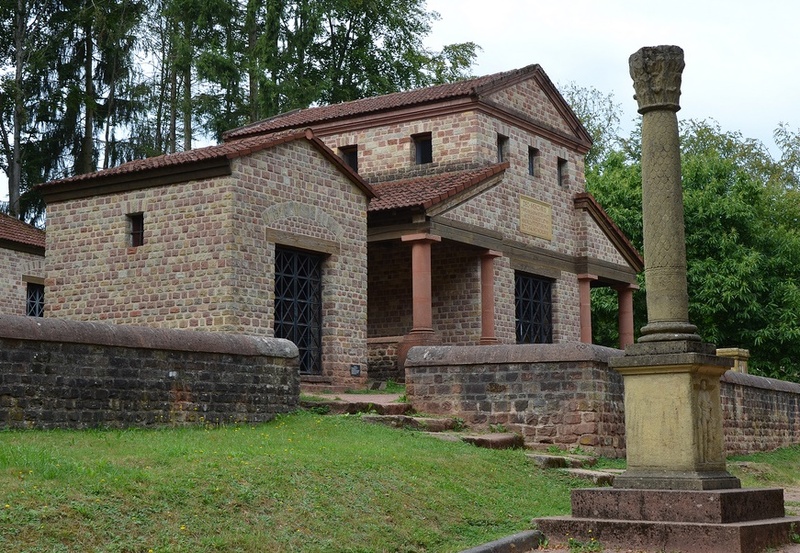 Day 4 follows the romantic Mannebach-valley for some time, along the Roman excavations - 1986 - and reconstructions in Tawern ( a little bit off trail), ending in Konz, where Moselle and Saar meet.